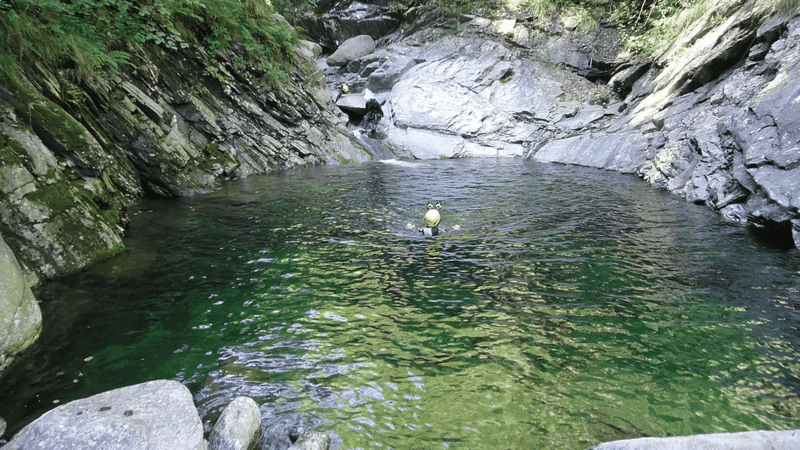 Discover this super fun activity with this canyoning trip for beginners near Lake Como with local IFMGA-certified guide Claudio. Suitable for children! 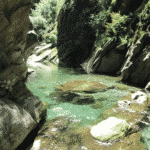 Join me on on this canyoning trip for beginners and discover this amazing activity! 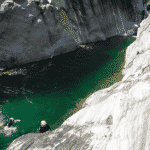 Canyoning involves a combination of walking, scrambling, swimming, abseiling and jumping to travel through a canyon. If you’ve never tried it before, I’ll take you to a great spot for beginners! This canyon is easily accessible and does not require any special skills. However, you’ll have a blast in its slides, diving chutes and short roped descents. The route takes from 2.5 to 3 hours to complete. We will meet directly in Bodengo, which is just an hour away by car from Domaso (see “Meeting Point” for further instructions). 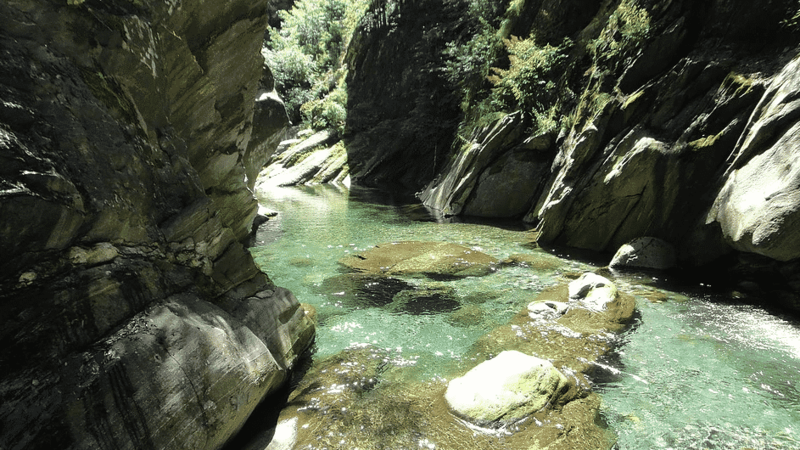 This half-day canyoning trip is ideal for families (10 years old and over) and groups of friends. It’s also a great idea for a stag or hen party. It’s a super fun activity to share together! I’ll provide all the necessary equipment. 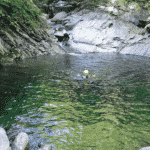 You just need to bring your swimming suit, towel and also a set of dry clothes. And lots of energy! 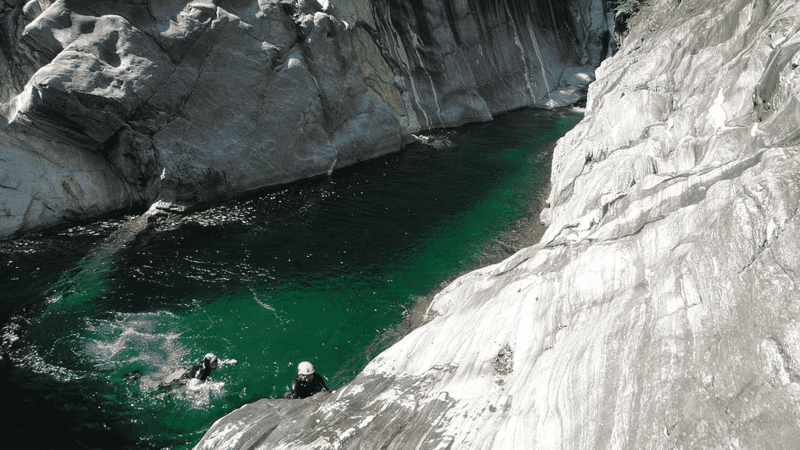 Join me on this canyoning trip for beginners and discover a new activity that will get your adrenaline pumping! Bring family or friends. I can guarantee you’ll have the time of your life and will probably want to come back for more. So contact me! We will meet directly in Val Bodengo. From Gravedona or Domaso, it's a 1-hour drive. Drive to Gordona (SO), a little town a few km before Chiavenna. Close to the Church (Address: Piazza San Martino – Gordona – SO) there are 2 bars where you can pay the entrance fee to the private road (it costs 6 euros). If both the bars are closed, you can buy the ticket at Bar Doc in Via Degli Emigranti n. 14 in Gordona on the road to Val Bodengo. From the Gordona Church, follow the sign to Val Bodengo for 7 Km and reach a little village called "Pra Pincée". I will wait for you near the little mountain restaurant called "Sosta Pincee". - special shoes for canyoning. I was born in 1980 in a small town in the northern part of Lake Como and started climbing the mountains behind my house as a child. It is here that this passion was born. When I was 15, I had my first ski touring and climbing experiences. Since then, I have dedicated all my free time to doing mountaineering ascents all over the Alps. My passion has taken me to Peru, Argentina, Madagascar and India, where I opened a new route. Several years ago, I decided to turn my love for the mountains into a profession and I became IFMGA-certified. 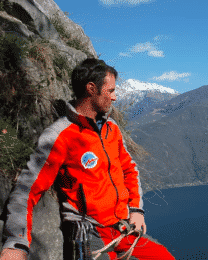 I specialize in canyoning, rock climbing and I am a member of the Mountain Rescue Team.